Sage is all the Rage for Fall! While some people look forward to fall nail color, others feel that maybe it isn’t their favorite season. Have no fear, because Mashable is sharing their ways to pull off the “ugliest” fall nail colors! 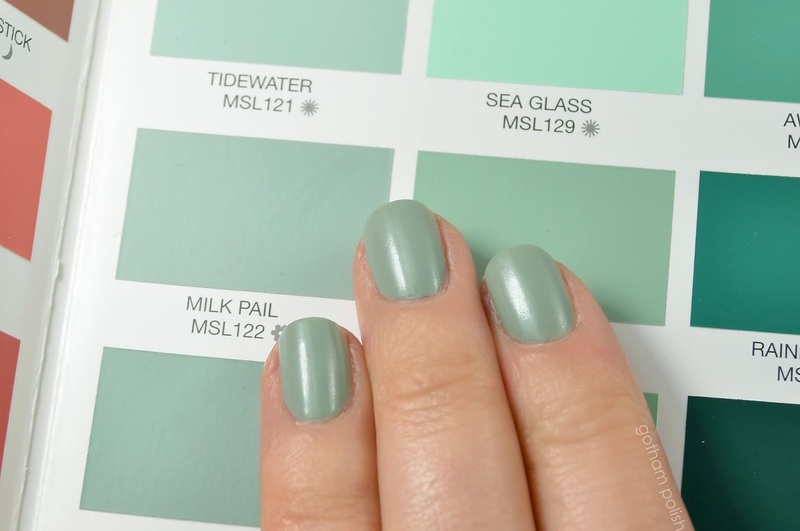 While Zoya Nail Polish in Sage is certainly not ugly, she was featured as a shade part of the “sea-sick green” category. This lovely satin shade is a mossy sage green cream in the exclusive Satin* finish. Are you a fall nail color lover? We’d love to see your gorgeous manis! Share them with us using #EverydayZoya! W Magazine is Hooked on Zoya! W Magazine’s Beauty Director, Jane Larkworthy shared her latest obsessions including Zoya Nail Polish in Sage as an unexpected must-have this Summer! Love the look of Zoya Sage above? She comes from the Zoya Naturel Satins Collection of six neutral nail polish colors in an ultra-wearable, low-sheen, satin finish. The Satin finish is a hybrid between matte and glossy polishes, providing an opaque coverage that is longer lasting than traditional matte shades. Swatches of Zoya Sage: See How It Looks On! If her name didn’t give it away, Zoya Nail Polish in Sage is the PERFECT mossy, sage green cream. The exclusive Zoya Satin formula* gives a softer, more wearable finish for those who typically don’t wear green nail polish! If you love these swatches of Zoya Sage, see even more in our Shade Spotlight! See how others are wearing this color in our gallery and don’t forget to upload your own looks on Twitter or Instagram using the hashtag #EverydayZoya. If you love Sage, don’t forget to check out all of the other Zoya Naturel Satins collection shades!